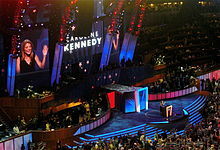 ^ a b c "Caroline Kennedy, President". John F. Kennedy Library Foundation. Archived from the original on October 3, 2006. Retrieved December 27, 2015. ^ Landler, Mark (July 24, 2013). 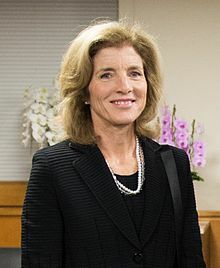 "Obama Nominates Caroline Kennedy to Be Ambassador to Japan". The New York Times. ISSN 0362-4331. Retrieved July 6, 2017. ^ Cassata, Donna (September 19, 2013). 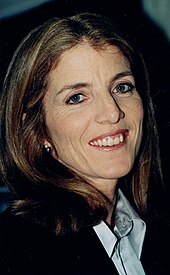 "Caroline Kennedy 'Humbled' To Carry On Father's Legacy". The Huffington Post. Retrieved October 24, 2014. ^ a b "US envoy visits Okinawa amid long-running row over military bases". The Guardian. Manchester. February 11, 2014. Retrieved July 8, 2014. This page was last edited on 13 April 2019, at 01:26 (UTC).